Home renovation does not have to be an expensive endeavor. One little change can make a big difference and with that, your house can feel like a home. The areas where we tend to spend most our time is meant to give us comfort and a sense of joy. For example, the patio is where we read the morning news and enjoy breakfast, or the kitchen and dining room is where we entertain friends and family. The kitchen needs to be a place where you can cook to your heart’s content, and the dining room is there to have dinner parties and entertain guests; not a small space where you can only entertain a few guests and with no space to move. Furthermore, wouldn’t it be more entertaining conversing and drinking wine with your guest while preparing dinner rather than being in the kitchen alone? Nothing, like the present to, renovates one’s home. 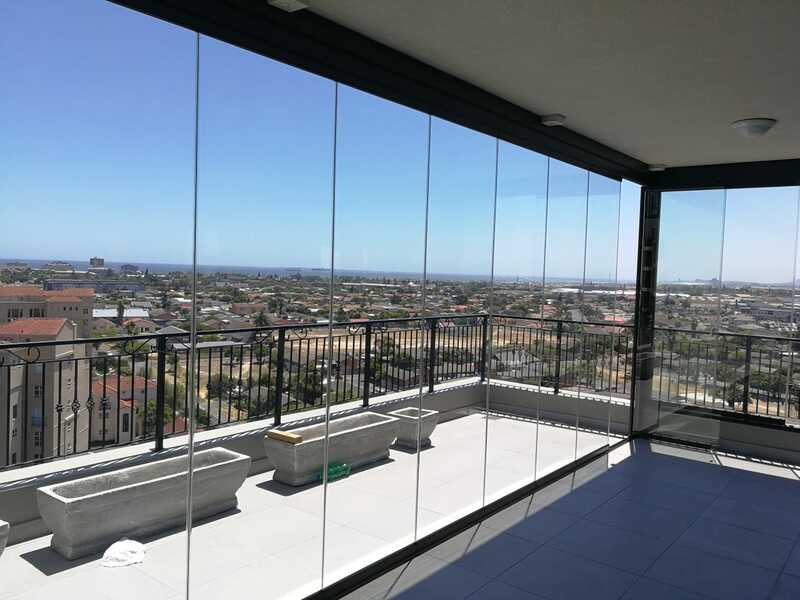 Frameless glass can solve all your problems by creating an opulent and open feeling to your home. Furthermore, this clear and elegant glass can be used as a room divider still giving you the option to create more space or to separate the kitchen and the dining room. 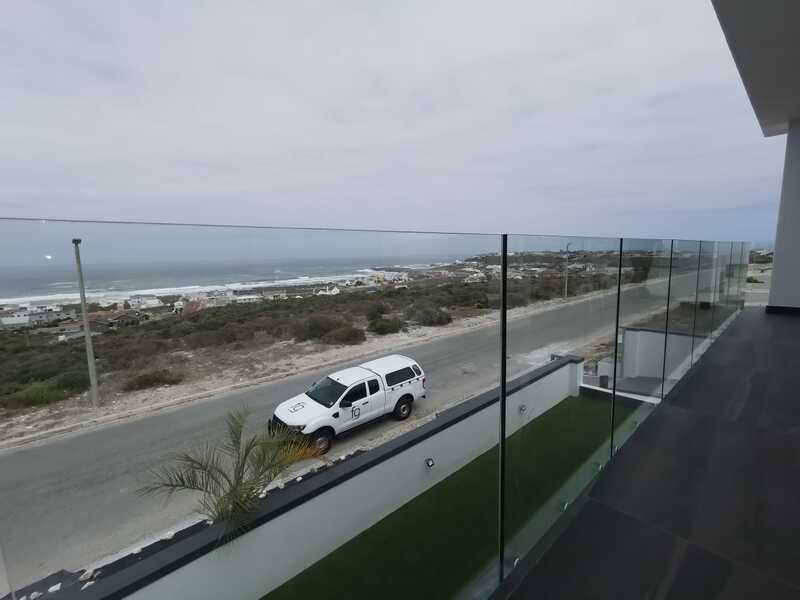 Home renovations can be a long and tedious process, but with frameless glass, things can be made so much easier and less messy. Why should you want a wall to obstruct your view from the outside garden or pool area? Enjoy those sunny days or your newly planted garden. 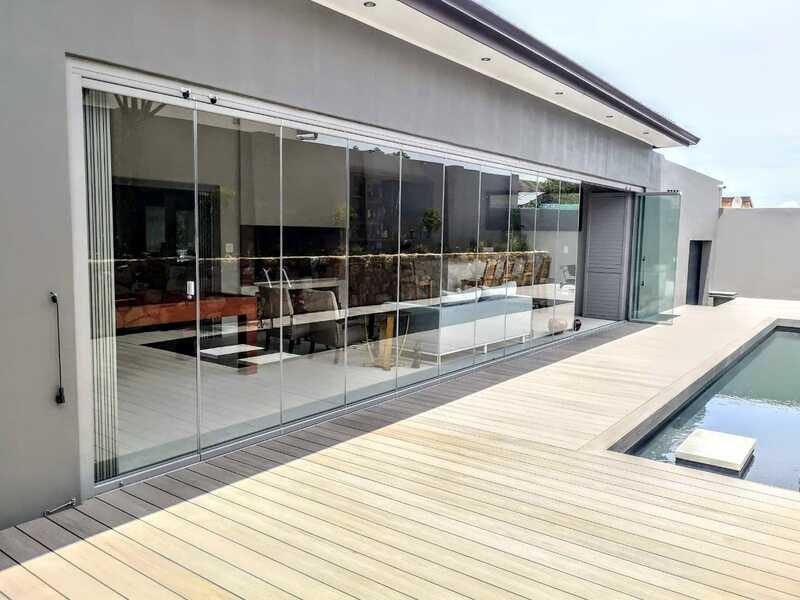 Conveniently, frameless glass is not only suitable for renovating kitchens and dining rooms, but also for opening up your living room to the patio or creating an enclosed braai area. 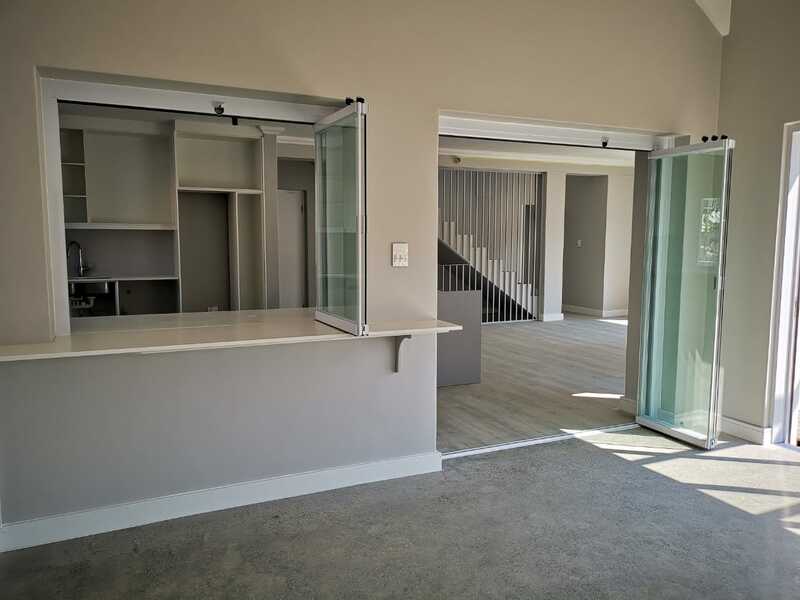 On raining days you can braai inside or on sunny days open the sliding doors and relish in the sun. With frameless glass, you have endless options.